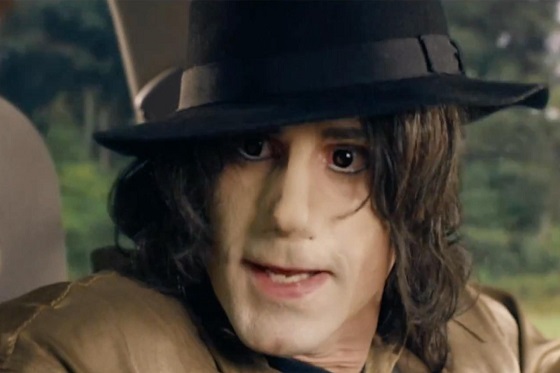 That hot mess of an episode of Urban Myths starring Joseph Fiennes as the late Michael Jackson has officially been PULLED! The network Sky Arts planned to air a controversial episode of the series about some story that Michael took a random road trip with Elizabeth Taylor and Marlon Brando after 9/11 from NYC to LA. Besides the fact that that's just a bizarre story anyway, the major issue is that Joseph, a white man, was playing someone who was African-American! After uproar from not only the Jackson family but also the public, Sky Arts made the decision to pull the episode, which was set to air on January 19. Don't get me wrong. Stockard Channing? PERFECT for Elizabeth Taylor. But this network HAD to know though, that this would be an issue. Yes, Michael had skin and health issues and reportedly bleached himself. He definitely had plastic surgery, but to try to have someone who's white step in and try to play him with that crazy looking nose? Especially now that Michael's gone? Nah. To be honest, all biopic ideas about Michael can be scrapped. Documentaries with him actually in them will work, but movies or shows? Issa no. What do you think of Sky Arts pulling this episode? Let us know in the comments!